Tools and where to put them? Coming from a large garage, with car and motorcycle lifts, and associated large tool boxes - the boat we just bought just doesn't have enough room to move tool boxes into. What creative methods have you done to accommodate tools and parts in your engine rooms or lazarette? Pics would be appreciated to give me a better understanding of the creativity amongst this group. Thanks! We had one stateroom that was very rarely used, so I used the various drawers an cubbies in there as well as the upper berth for tool storage. When we did have someone up there we could move a few things temporarily out of the way, usually into the ensuite shower of that room and the occupant(s) shared a shower with the other guest SR that was not ensuite. No room in your ER to mount something on the wall? We had some small parts(screws and bolts) cabinets in there.This on a Hatteras 56MY. Kept bulk spares like filters in the generator room in large plastic storage tubs. Hard to comment without knowing you boat's layout and what other things and people occupy it. I have built in seating with storage in the saloon. Designated one under seat storage area for tools. Like my tools rust free and the saloon has a dehumidifier. Designated another under seat storage area for spare parts. Have a storage space under the stairs just for filters. Only parts stored in the engine room are consumed liquids and funnels. Lazarette is where I store plastic gallons of other liquids. For me, having a wide selection of spares is important. Storing them in an easily accessible dry humidity controlled place so they are useable when needed, is equally important. Mr. w8. You have a 60' boat and no room for tools???? I suggest rather than looking to be creative about where to store your tools I would re-asses the tools you want to have on board. I will admit having tools and spares spread throughout our vessel gives me a certain amount of concern in that I'd really like to have them more or less in the same place which is an issue I am going to address this winter in a major re-org'. I may even offload some tools. When we downsized our generator I was able to put some tool storage under the generator platform. Used the lockable style heavy duty sliders ($$) but was relatively easy to do. Not a great photo (it was of the generator) but you get the general idea. That is what I was thinking. We have plenty of room on our 41’ for tools, I just have them in about 3 different storage areas since they won’t fit into any one area. Yes, there is room to spread out all over the boat, but it would be ideal to be able to house a toolbox or two. That probauwont work so I’ll have to figure out where to place bins or small toolboxes throughout the lazarette and engine room. This one came with extra fuel capacity (1500 gallons) which take up a lot of space in the ER. I’ll figure out what tools are a must vs like to have. I’m used to knowing where each tool, socket, specialty tool is stored so I’m sure it will be a work in progress to set this up. I keep all my tools in heavy waxed canvas bags covered with oil stains in the engine . I transport my carpenter tools from home to the boat also in a heavy duty waxed canvas bag .I keep a separate bag for electrical tools and stuff separate from mechanic or carpenter tools. 2 canvas bags. 1 for engine tools and another for electrical. Easy to move around and not to heavy. A 5 gallon bucket for hauling 1 time use stuff and parts back and forth. I store tools under a bench in the saloon and spare parts in compartment under the bed. Regular list of hand tools, like wrenches, drivers, hammer, electricity fix tools etc. Small items in stackable plastic boxes, larger in a small size toolbox. The thing about the boat is the tools are required all over the place. Not like the home garage where you bring the jitem to the garage to work on it. So two things arw needed for me anyway. Canvas bag is the new tool box as i sure dont want hard metal dinging the place up, and second is where to store it them. Dosent seem to matter where i put the tools, they are never in the place i need them. I do have a good spot with power and a shelf below, i keep the power tool charger and extra batery ready there. So less of a holy room and more flexibility to grab what i need for whatever job is required. Mr. w8. I have to laugh. At myself AND fellow TF members. Nope, it ISN'T like a garage or workshop where one has the freedom to spread storage out a bit but still keep everything more or less in one location. Canvas totes, stackable storage bins, nooks and crannies. I also share, what I sense is, a similar frustration of having "stuff" spread all over. I can’t seem to have enough tools, especially when I plan projects. Thankfully, I’ve got lots of room to store them, but that’ll probably change when we’re full time cruising and the Admiral has her shoe collection aboard. Several valid points are brought up... having the tool where it is needed is important. Aboard our 40'er we had a couple of wrenches (one was notched for impeller removal) down where they were needed. These items were tied to the bulkhead using 1/8" braided line. Those items will need to be easily accessible. As for your tool chests and such w8n4sun... well, I don't know that I would want to have metal tool boxes due to the rust factor. Even if your boat is perfect, the salty environment can wreck havoc. A 36'er I worked aboard last year had one large battery box for the engine room tools. That was handy, having them all organized in one spot. Mine are scattered. One locker has the most frequently used items. 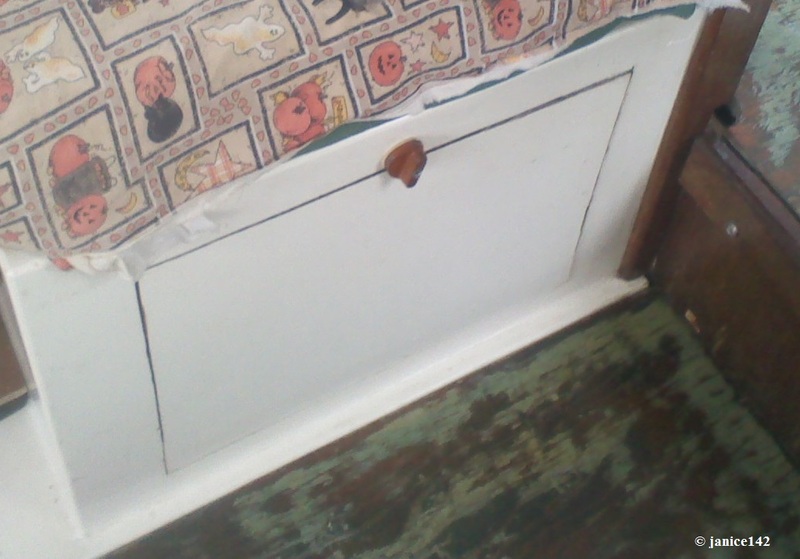 I had the end cut out of one of my dinette bench seats so that I could access the locker without moving the cushions. It's easier. Sure, it would be nice to have matching plastic containers. For now though, this works well. Calder's is just to the right, with further back there two plastic folders filled with the paperwork from my gear. Whatever your setup becomes w8n4sun, I have never heard any larger boat owner regret having a permanently mounted bench vise. If you're really lucky a bench grinder can be a nice addition too. All the best to you. You have a challenger with that cute small trawler you have, but you seem to be extremely organized and handy. When are you coming to the Legion again? Been looking for you. For me, I have about 8 to 10 places for tools depending on where they are needed and how frequently. My "go to" box has all the basic stuff of the day to day minor tweaks, including my meter. 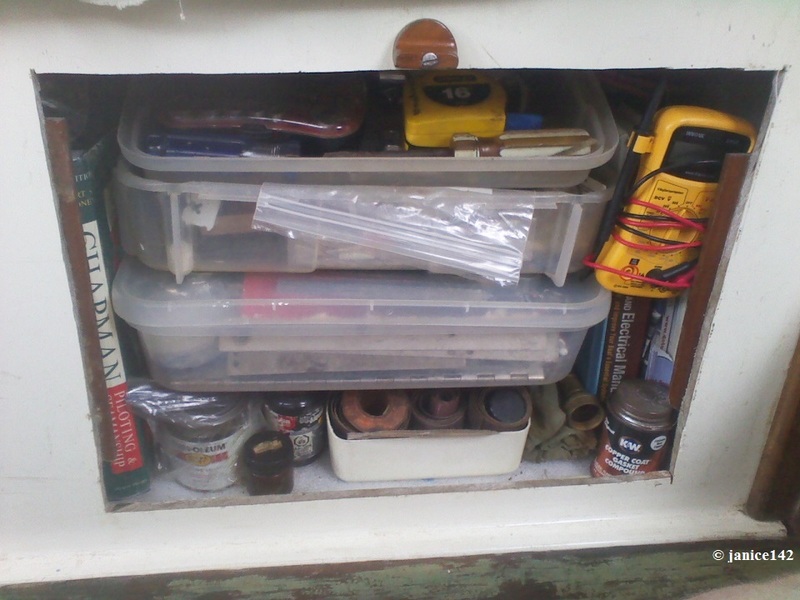 I have a tool bag for bigger things, and for bigger things yet, I store them in a cabinet or drawer. All the consumables, hardware, wiring, etc are stored in plastic containers. the light weight stuff like filters, belts, etc and in a box on the flybridge. I built a box with compartments over the rudder which give a lot of space for parts, oil, etc in the lazarette. I also have a written directory of where everything is. So, if I search for 18g red wire, or a #8 truss head, 1.5 in long screw, I know where it is. Ya just can't have too many tools. When we bought our Defever, the two house banks (two 8Ds per bank) were in large fiberglass boxes outboard of the mains. I consolidated the batteries (no longer 8Ds) into a single house bank and relocated them aft. I use the boxes to store bulky, infrequently used tools—like bolt cutters, lug tool and die grinder—along with spares. Still looking for a good spot for a regular toolchest. For commonly used hand tools, I've found I hardly use more than 1-2 on any job. I use sealable kitchenware bins and leave them near the area where they work, For example, socket wrenches for checking engine room anodes stay next to engine, hydraulics etc. Keep all battery run and power tools in sealed bins in pilothouse which has better heat/humidity control. Most of mine are in a canvas bags in compartments under the side doors. 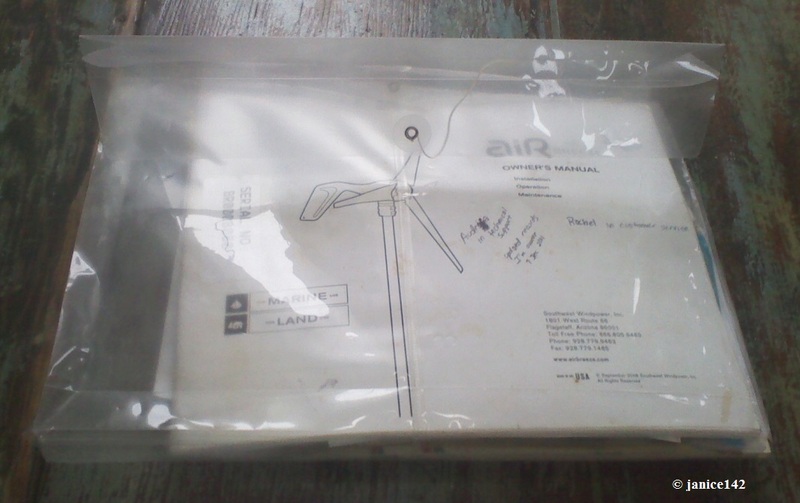 Supplies such as electrical connectors, wire etc are in plastic boxes or bins in various locations. I have much more than I need aboard, until I need something else. Then hopefully someone on the dock or in the anchorage has it. I keep many of my tools in canvas bags--one with an assortment of tools for most minor jobs, another with sockets and wrenches for engine work, one specifically for impeller changes with all the needed dedicated tools (engine and genset), one for lights and lighting, one for the dinghy and engine, and one for canvas and snaps. These are kept under the saloon seating. Many smaller spares for plumbing, electrical are in a set of compartmented Stanley storage cases. Filters are under the companionway steps. Engine and genset spares are under the island queen. Electrical stuff, canvas stuff and spares were under a bunk in a large plastic bin. I learned to rethink my tool selection and keep only what was absolutely required.